This parasite is Eurytrema procyonis, which lives in the pancreatic ducts of raccoons. 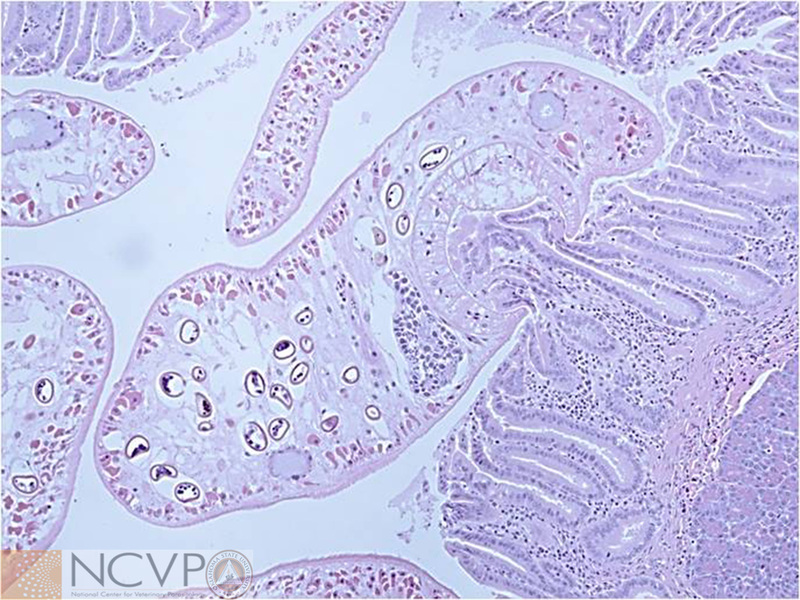 In the stained histologic images above, small, thick-walled oval eggs can be seen within the bodies of the adult flukes. The first intermediate host of this parasite are land gastropods. The second intermediate host has not been determined, but is hypothesized to be an arthropod that ingests cercariae in extruded sporocysts from snails. 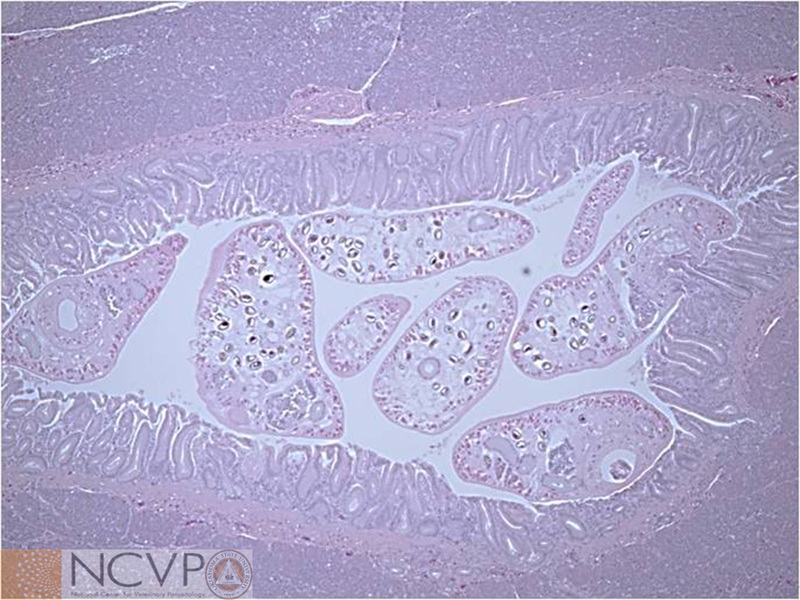 Case and photos kindly provided by NCVP Merial resident Dr. Jessica Rodriguez, Texas A&M University.